jjlabsskinsolutions has no other items for sale. 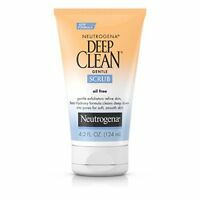 Neutrogena Deep Clean Gentle Face Scrub, 4.2 Fl. Oz.